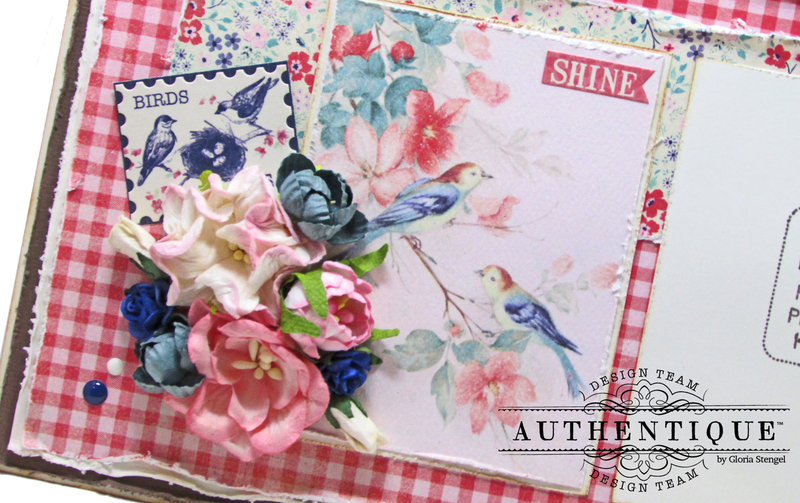 Good morning, Crafters! This is Gloria Stengel with you again. I have an unusual project to share with you today. I decided to create some 6" x 12" layouts! These are sometimes called "half-layouts." This is a really fun size to work with, but I took it a step farther and created a card folio style layout set that can be used as a special birthday card! 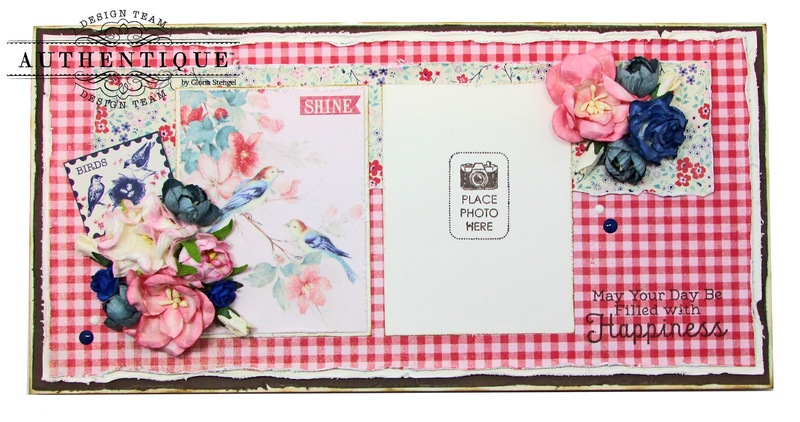 This "giant-sized" card is such a statement piece when sitting on the desk! There is room for six photos, plus the back side is blank so that the whole family, office, or classroom can sign the card! 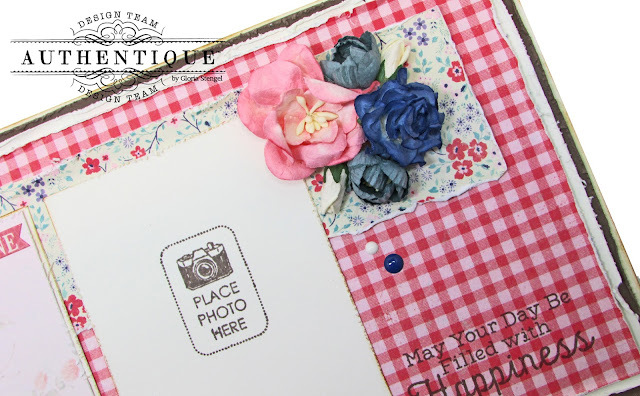 I wanted to make this card in a shabby chic style, so I distressed all the edges and added some ink to some of the layers. There are lots of paper and cardstock layers, which gives this card that specail touch of shabby. I used the Refreshed Collection because I loved the pinks paired with blue. 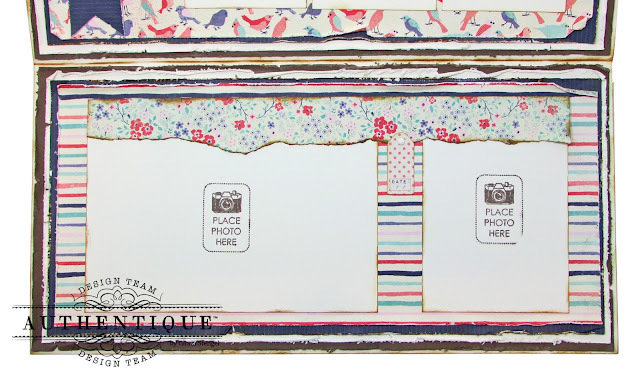 There is a spot on the front of the card for a photo, but there is still tons of space for pretty flowers and one of the cut-outs from the paper collection (Refreshed Six). I added a sweet bouquet of blue and pink flowers, plus one of the postage images from the Refreshed Details cardstock stickers. I also added one of the stickers to the upper right corner of the bird image. I used a clear stamp to add a sentiment to the card, and then added another small bouquet. Some blue and white enamel dots gave just the finishing touch. 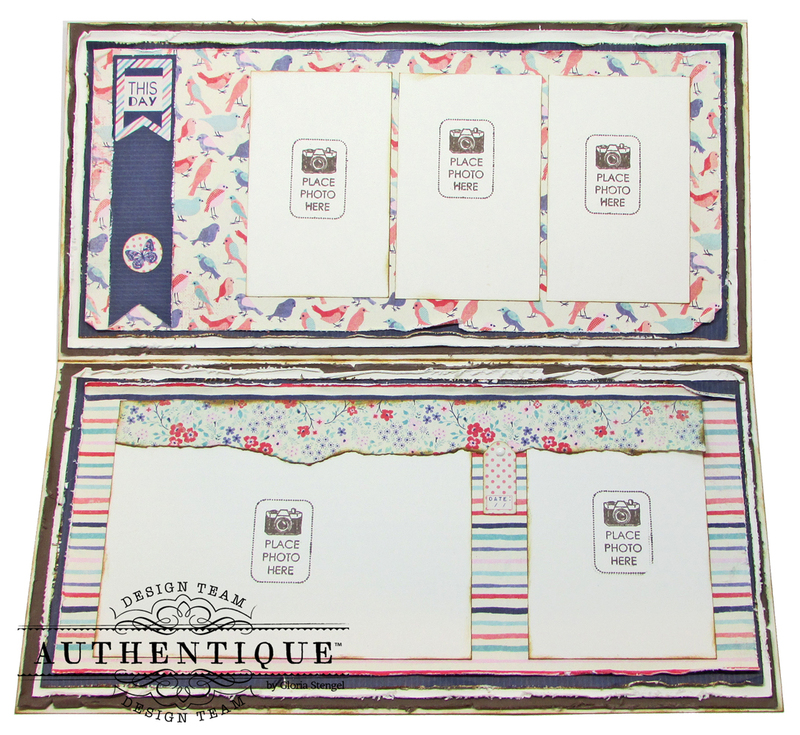 The inside opens to reveal two more 6" x 12" pages, and space for more photos! The top panel fits three 4" x 2 1/2" photos. I added a banner to the side using some of the Spectrum cardstock and the stickers. 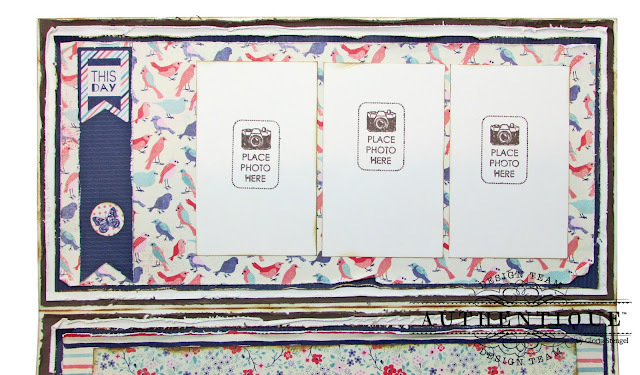 The bottom panel has space for one 4" x 6" photo and one 4" x 3" photo. I used the leftover bit of torn paper to top the photo mats. You can slide the photos under this "topper." The small polka dotted sticker has space to write the date. 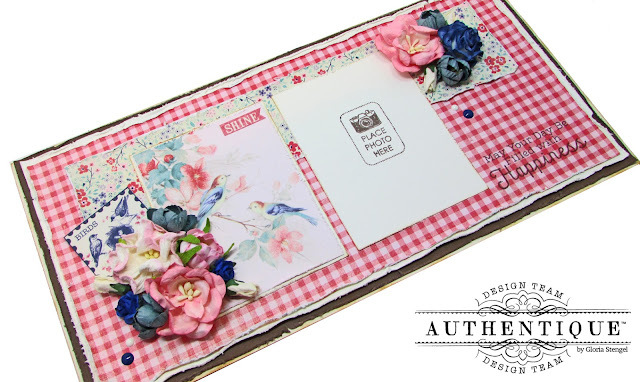 This shabby chic, over-sized card was fun to make. 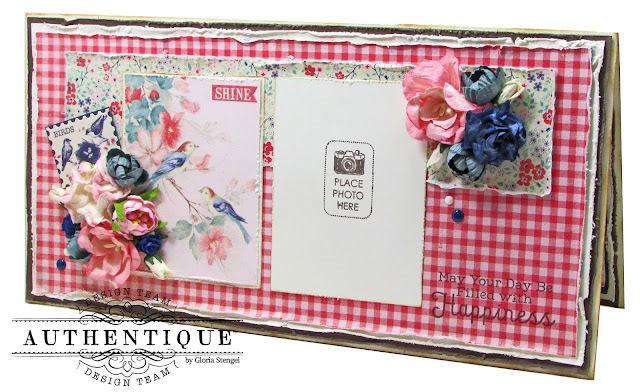 I hope you are inspired to try this size of card or scrapbook layout.